In recent years, a growing number of children and adults have been diagnosed with Asperger's Syndrome, a neurological condition characterized by severe difficulties with social communication. While extremely talented in their areas of special interest, many with the diagnosis also have problems with coordination and sensory processing. Professionals and families struggle to help them function competently and make the most of their unique abilities. This readable and practical book synthesizes the latest knowledge about how to do so in various contexts from early childhood on. The authors include psychologists, psychiatrists, special educators, an occupational therapist, a specialist in communication disorders, and a lawyer, with diverse philosophies and methods of intervention. They suggest a variety of ways to help those with Asperger's adapt to the "neurotypical" world, and to bridge the social chasms that can develop as they are integrated into schools, organizations, and communities. 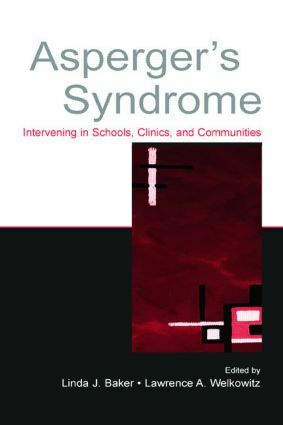 Asperger's Syndrome: Intervening in Schools, Clinics, and Communities constitutes a vital resource for all those who seek to improve the lives of individuals with the syndrome.